Growth regulators such as Maintain NT is a plant growth regulator that reduces vertical growth producing a more compact sward, enhancing playing surface and reducing yield. Not only does Maintain inhibit vertical growth, it also diverts plant growth laterally and into the root system to produce increased food reserves and improve anchoring. This process produces a thicker, healthier sward that enhances the turf’s ability to withstand weather extremities, traffic and weed ingression. 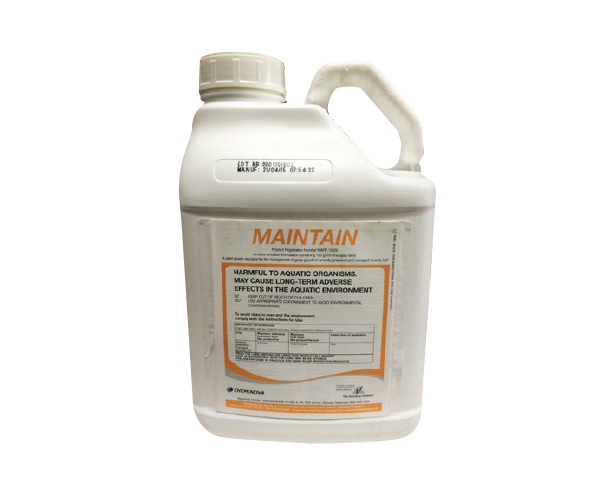 Maintain NT is tank-mixable with a range of soluble and liquid fertilisers, for use on a range of turf situations.